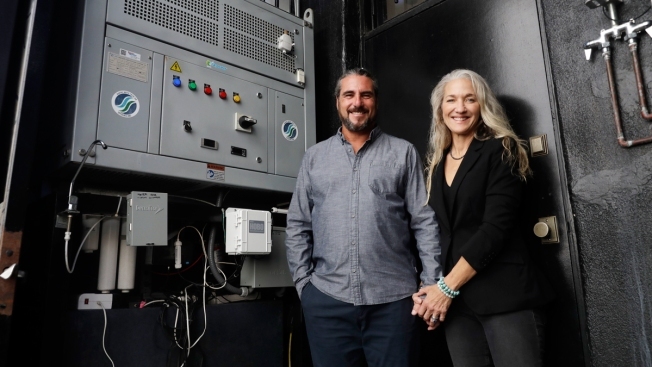 The Skysource/Skywater Alliance co-founders David Hertz, left, and his wife Laura Doss-Hertz pose for a portrait next to the Skywater 300 Wednesday, Oct. 24, 2018, in Los Angeles. The company received the $1.5 million XPrize For Water Abundance for developing the Skywater 300, a machine that makes water from air. The XPrize competition, created by a group of philanthropists, entrepreneurs and others, has awarded more than $140 million over the years for what it calls audacious futuristic ideas aimed at protecting and improving the planet. The first XPrize, for $10 million, went to Microsoft co-founder Paul Allen and aviation pioneer Burt Rutan in 2004 for SpaceShipOne, the first privately financed manned space flight. So when Hertz learned a couple of years ago that a prize was about to be offered to whoever could come up with a cheap, innovative way to produce clean fresh water for a world that doesn't have enough of it, he decided to go all in. At the time, his little water-making machine was cranking out 150 gallons a day, much of which was being given to homeless people living in an around the alley behind the Studio of Environmental Architecture, Hertz's Venice Beach-area firm that specializes in creating green buildings. "One of the fascinating things about shipping containers is that more are imported than exported, so there's generally a surplus," says Hertz, adding they're cheap and easy to move around. And if you don't have wood chips to heat them with, coconut husks, rice, walnut shells, grass clippings or just about any other such waste product will do just fine. "Certainly in regions where you have a lot of biomass this is going to be a very simple technology to deploy," said Matthew Stuber, a professor of chemical and biomolecular engineering at the University of Connecticut and expert on water systems who was one of the panel's judges. Hertz and his wife are just starting to contemplate how to accomplish that. 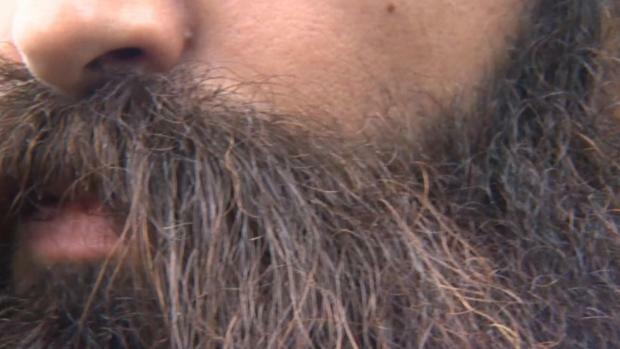 Theirs was among 98 teams from 27 countries who entered. Many teams were bigger and better funded while the couple mortgaged their Malibu home to stay in the game. At one point, they were told they hadn't made the final round of five but then one team that did dropped out and they were back in. "If you say we were the dark horse in the race, we weren't even in the race," Hertz recalled with a smile. He stood near a giant copy of the check in his office while his wife prepared to leave for a photo shoot and a visitor sampled a glass of their freshly made water.